Ancestral Discoveries: Do More DNA Results Lead to Irish Ancestry? I had two extra AncestrayDNA kits lying around. One was left over because my aunt was unable to provide enough spit to make the test work, and I ended up getting her a Family Tree DNA test instead. The second was unused because the person for whom I had originally intended it passed away before I was able to send it. So I had been trying to figure out to whom to send them instead. I remembered a recent post by Judy Russell, the Legal Genealogist, when she discussed the significant differences in ethnicity estimates between her DNA results and those of her siblings. 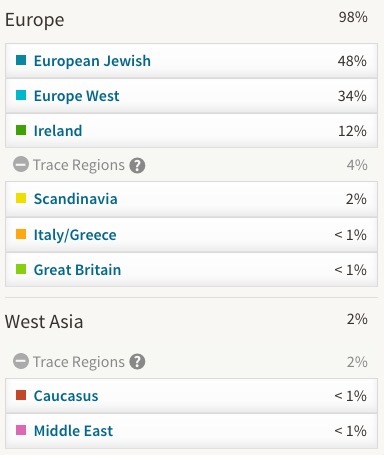 Since I've been curious about the possibility of actually having Irish ancestry (12%, as shown by my AncestrayDNA results) since I proved (through Y-DNA testing) that my grandfather was a Sellers by informal adoption, I decided to send the tests to my two full siblings. 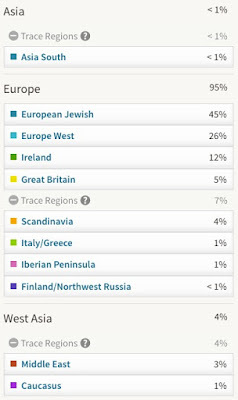 I wanted to see if either or both of them would have Ireland appear in their ethnicity estimates. 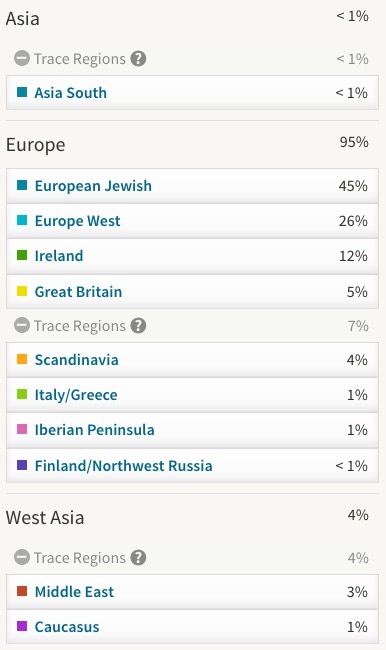 That might lend more credibility to the possibility that my grandfather's biological father was at least part Irish, and maybe help me in my search to find him. Now, I do realize, as Judy reminds everyone regularly, that the ethnicity estimates are really nothing more than "cocktail party conversation" (or "smoke and mirrors", as I call them), because the underlying statistics are simply not reliable and have significant margins of error. I also know, however, that if you have double digit results, it's likely that there is at least some amount of that ethnicity in your make-up. So I checked with my brother and sister to make sure they were willing to do the tests, registered the kits on my account, and then sent the packages off. I waited patiently for the "processing" messages to arrive from Ancestry.com, and then again for the results. And now they've both arrived. The results aren't as wildly varied as those of Judy and her siblings, particularly for the major contributors, but there are definitely differences. We all show up as about half Jewish, just as we should, but we vary from 45% to 48% to 52%. We all show large amounts of Europe West, ranging from 26% to 34% to 40%. And we all show Ireland. My brother and I show 12%, while my sister has only 2%. 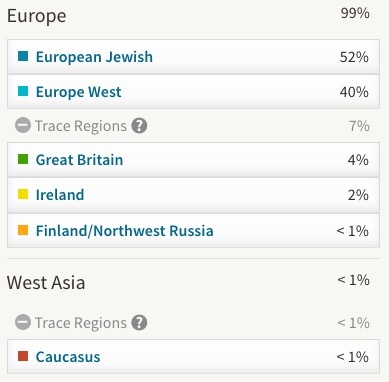 A result of 2% could easily be erased by the margins of error present in these tests, but two results of 12% make me think I'm on the right trail in looking for a man with Irish origins as my great-grandfather. 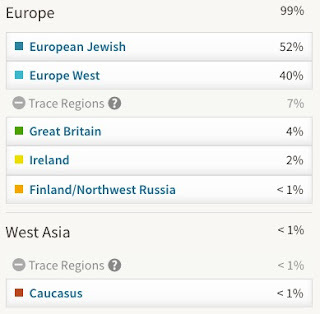 Of course, now that I have these DNA results, I also plan to work with the real data, the chromosomal information, to see what else I can learn about our ancestry and to try to connect with cousins. But I figure having one theory borne out by additional testing is a good start. And why didn't I also test my half-sister, who shares the same father with my brother, my sister, and me? Because her mother was all Irish all day long, and that would throw off any ability to identify Irish on my father's side of the family. 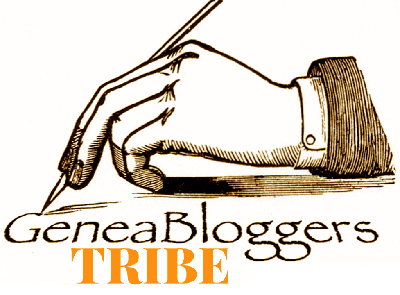 But maybe I should get her to take a test to see if she really does show up as half-Irish . . . .
Oh yeah, and I realized this is my 1,000th blog post. Not bad for someone who still hates to write!